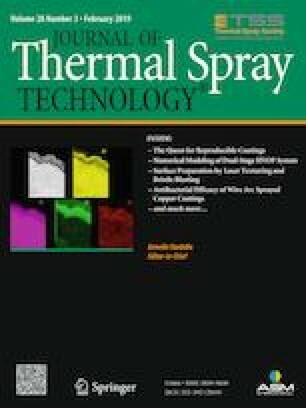 The purpose of this study is to investigate the feasibility of replacing cobalt with nickel as a binder in thermal spraying WC-based coatings. Two kinds of coatings WC-13Ni4Cr and WC-10Co4Cr were deposited by the detonation spraying technology in which propane was added into the detonation gases. The relative content of W2C and W phases in the coatings was calculated by XRD quantitative analysis method. Wear resistance of the coatings was characterized by ASTM G65 rubber-wheel abrasion test. The results indicate that the decomposition of WC particles in both coatings decreases, while the fracture toughness of the coating increases as the propane flow increases. Wear resistance of WC-based coatings is correlated with the hardness and fracture toughness of the coatings. The wear resistance of both coatings is substantially improved when increasing the propane flow rate. Experimental results show that it is feasible to replace cobalt with nickel in thermal-sprayed WC-based coatings.